Almost everyone reading this post have heard of the brand "Tecno" before and I bet you know what it is. Tecno is a Phone producing company well known for producing affordable Android Phones and this post is all about their newest and latest Android phone - The Tecno Phantom A2 which is also known as Tecno F8. Tecno Phantom A2 is very similar to Tecno Phantom A but its specifications are very different from the Tecno Phantom A. Tecno Phantom A2 is running the Android 4.2 Jellybean OS having a large 5.7" Capacitive display, 4GB internal memory, 1GB RAM and most especially; its a dual SIM phone which makes it really wanted by so many Android & Tecno lovers. The full specification of the Phantom A2 is available below, lets take a look into the leading next generation smartphone from Tecno. 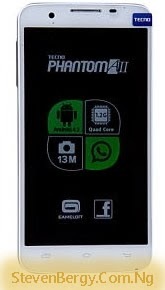 Tecno Phantom A2 is presently #46,500 at Jumia, Nigeria. 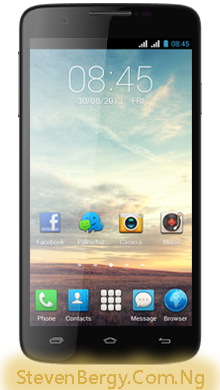 What do you think about this Smartphone ? Kindly lets know whats on your mind and don't forget to share this interesting post with your friends. Pls which is d latest of all the phantom and which one is d best? The latest is the Tecno Phantom A3 and it is definitely the best.